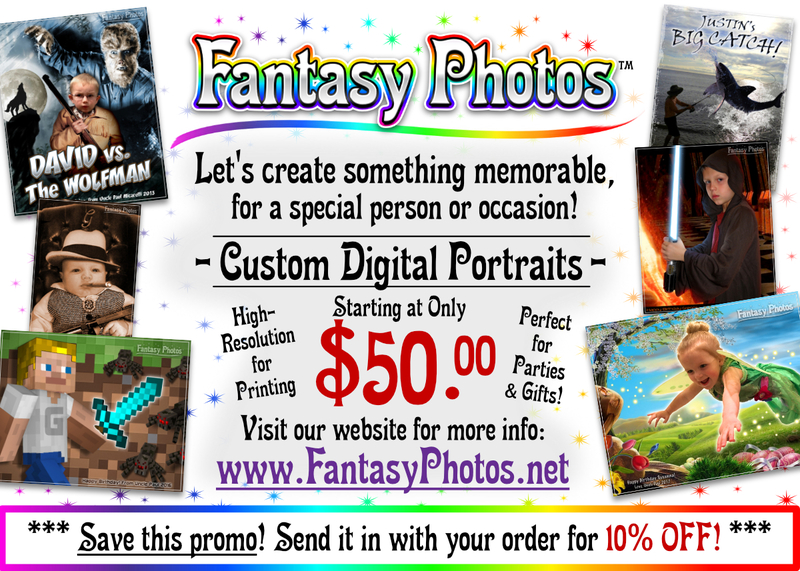 I recently started a business for creating high-quality, custom digital portraits, called "Fantasy Photos". This week I set up an Instagram account, to share Fantasy Photos images. If you have an Instagram account, I'd appreciate any followers or shares to the page. Thanks! 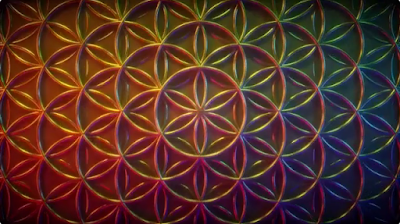 I came across this awesome, hypnotic animated GIF of changing geometric designs. It is called "Sacred Patterns". At one point it morphs into the interlocking circles of The Flower of Life. After checking out the artist's Instagram page @uon.visuals I was impressed with the wildly imaginative art & animation. UON Visuals is 3D animator Mike Voskakis, and he has also has a Facebook page and a YouTube channel. I'd recommend checking out all his mind-bending work. 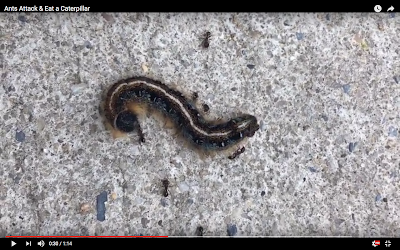 Last week, I saw a lone caterpillar being swarmed & devoured by small ants. The caterpillar had ventured too close to the ant nest and was overtaken by the colony. Perhaps the caterpillar was already sick or impaired, but the ants were probably impossible to fight off, anyway. I took video as close as I could get to it, so it's a little shaky. You can see enough detail to make out the ants crawling on & biting at the larger insect. It was pretty creepy, but the patio was already littered with bodies of other caterpillars, so it was not a unique fate. Nature is crazy & brutal. Recently, I posted about the new business that I started, called "Fantasy Photos". 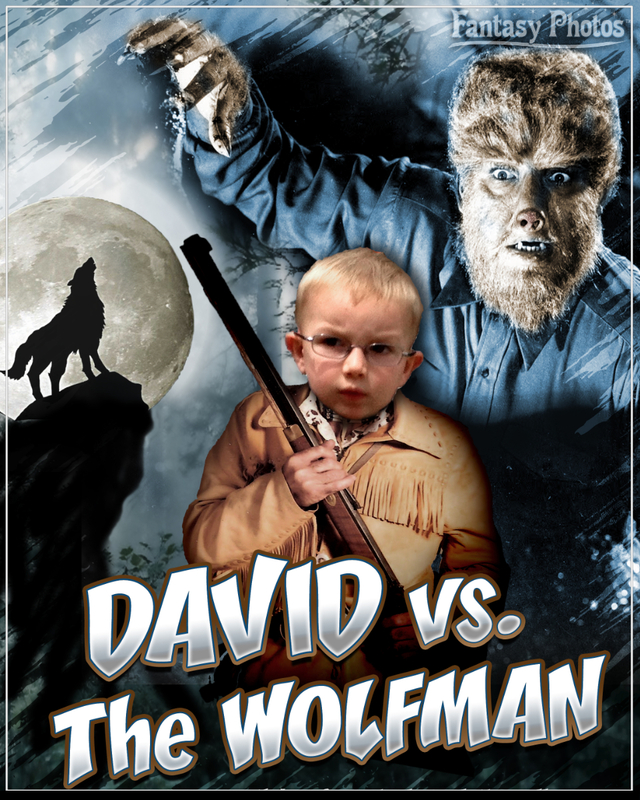 It is a service where I create high-quality, custom photo composites & digital portraits. 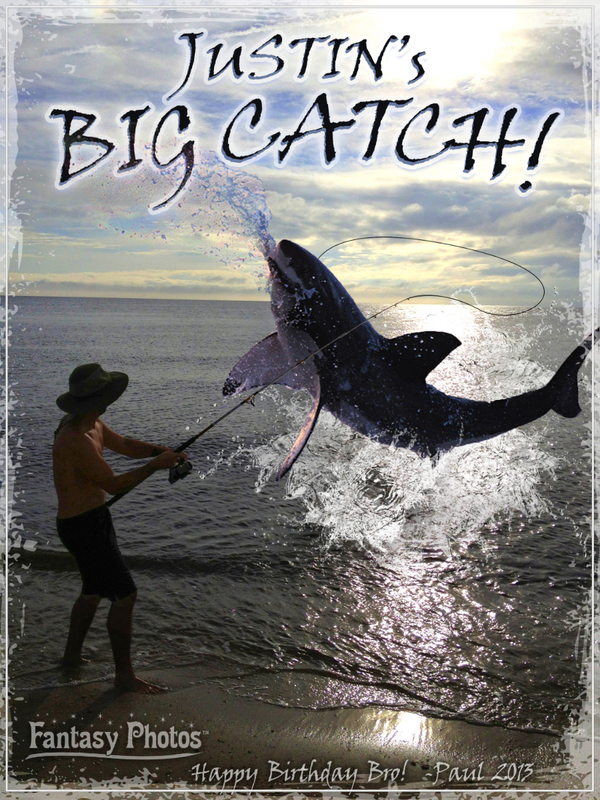 Customers can order an image of a person, animal, or thing to be digitally inserted into any setting they can imagine. This past weekend I registered as a vendor at an event for the first time ever, to promote the business. It was at the Mullica Hill Arts & Crafts Festival in NJ. I set up a table with a number of my existing Fantasy Photos in frames, along with business cards & promo postcards. On Reddit I saw this NASA simulation of galaxies being formed, as cosmic gases and material coalesce due to gravitational forces. 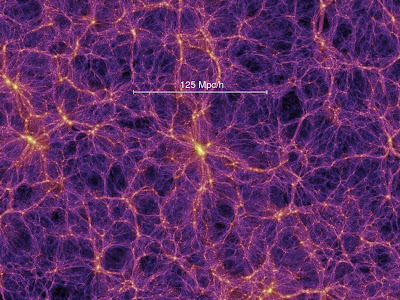 The scales of distance and time are impossible for the human mind to fully comprehend. However, we can still understand, calculate, and simulate these vast celestial forces. By doing so, we learn more about our Universe and, therefore, ourselves as an integral part of it. Speaking of self-reflection, while searching for similar animations, I also saw this NASA video of galactic evolution on an even larger scale. 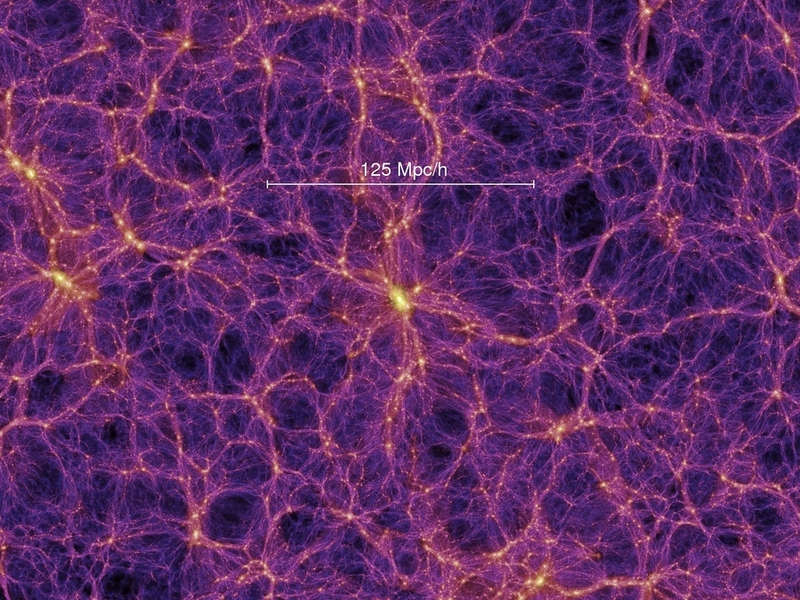 Here, the strands of stellar material that thread between & form galaxies, resemble neural cells connecting throughout the fractal universal mind field. Recently, I posted about being laid off from my graphic design job, due to the financial difficulties being experienced by the studio I was working for. 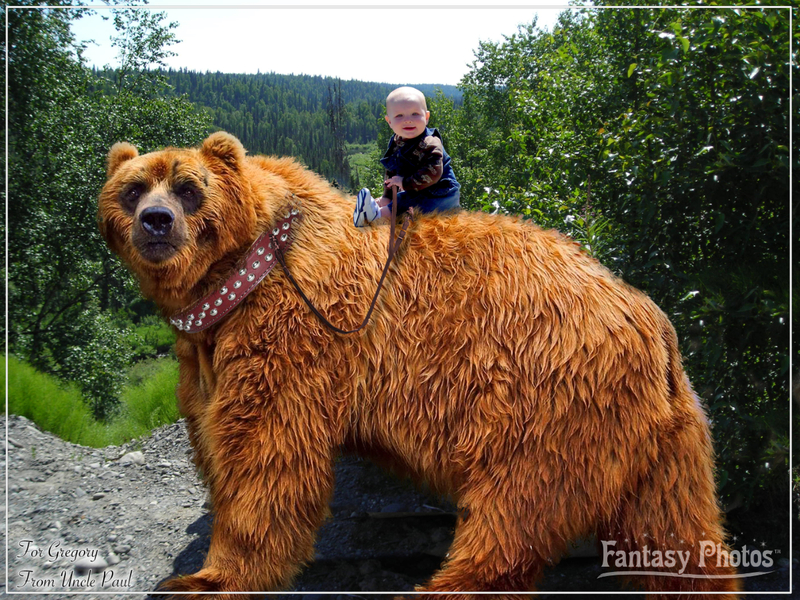 In that post, I also mentioned my idea to follow my dream & start a new business, called "Fantasy Photos™". Over the past couple weeks, I have been working every day to bring that dream into reality. I bought a domain and built a website for the first time. After getting advice from people I trust who own businesses & doing a lot of research, I formed a LLC and registered the company. I've also opened a bank account & PayPal for the business. Next, I am going to print business cards & a promo postcard. This weekend, there is a local arts festival where I hope to get a booth and display my business. I've had my first customer already, and I am now ready for many, many more. 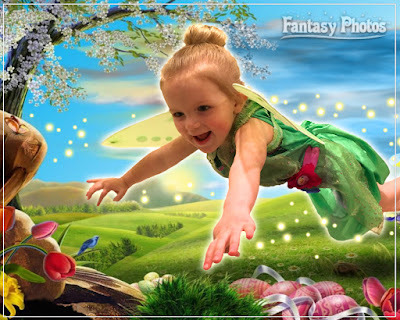 Fantasy Photos™ offers customized digital portraits & composite photos. For years, I have made awesome and fun pictures for my family & friends. Now, I want to provide my skills to customers who are looking for excellent quality custom images- in which people, animals, or things are placed in imaginary scenes. 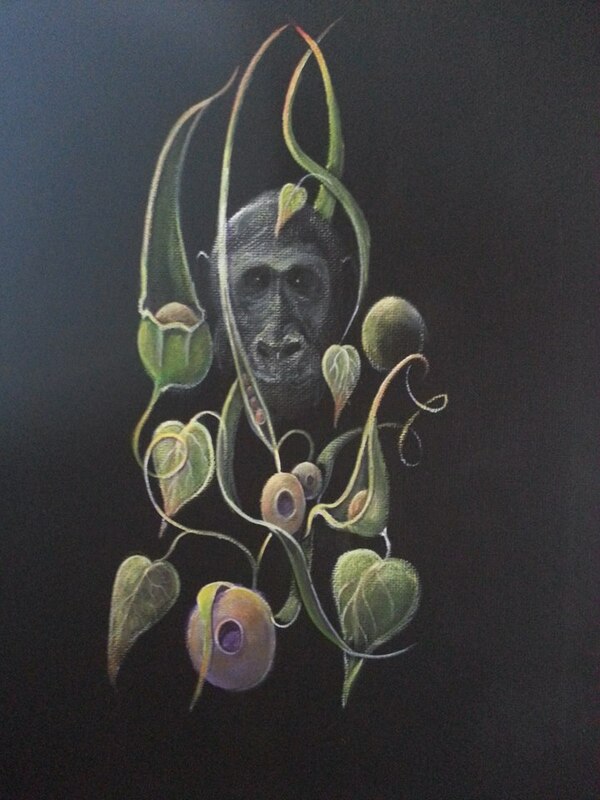 I'll be posting updates as I go along, but I would truly appreciate it if anyone reading this visits & shares the website. Here's a sample of some of the images I've created. To see more, please visit the IMAGE GALLERY on the website. Thanks! Last weekend I was at a local art festival and came across an artist with a lot of nice work, called CBArt. 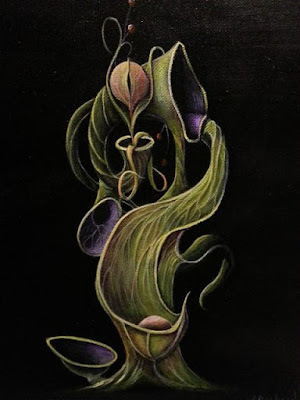 There were especially unique paintings that I called "Alien Botanicals" because they looked like plant life from another world. 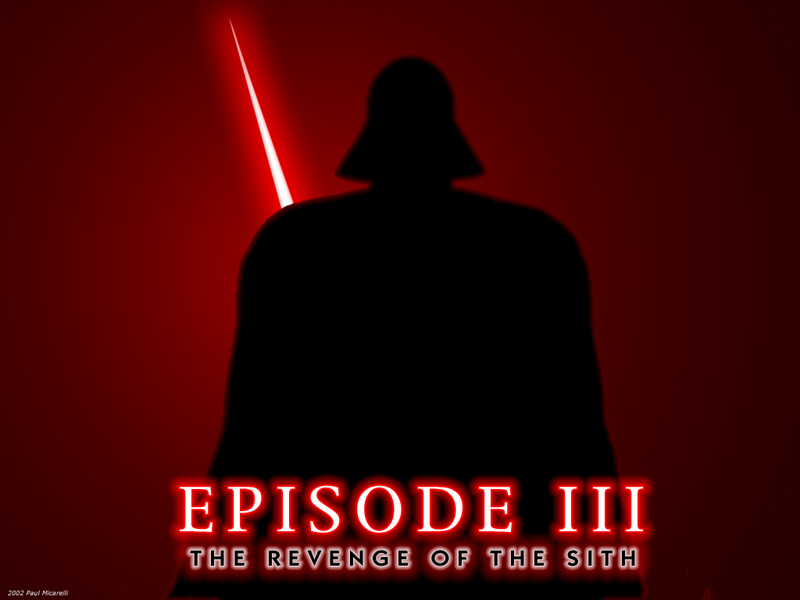 For Star Wars Day today, I wanted to make a quick post with some Darth Vader art that I made awhile back. Looking back, it appears there was some premonition involved, especially with this first one. 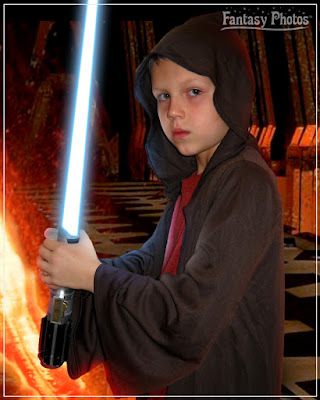 I made this way back in 2002, before the name of Episode III was revealed. Using the pattern of the 5 movie titles that existed up to that point, I figured out that the name of the third prequel would be "Revenge of the Sith". This image also proved to be prescient of the scene from Rogue One, where Vader boards the Rebel ship at the end of the movie, and his red lightsaber glows in the darkness. 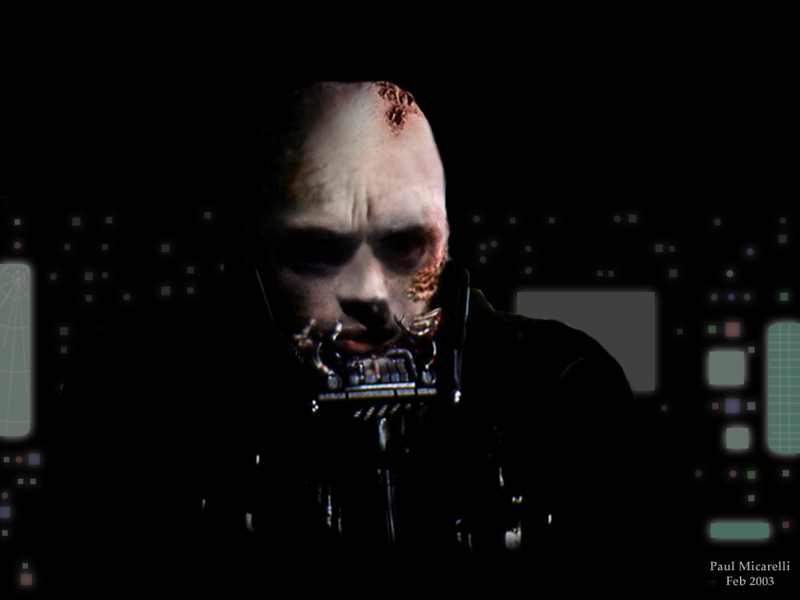 This next image was a composite I made in Photoshop, of Hayden Christensen's face with Vader after his helmet was removed in Return of the Jedi. I imagined Anakin Skywalker taking the helmet of Darth Vader off in the privacy of his meditation chamber. This final image was a visual I made that was similar to yet another Darth Vader scene in Rogue One, when he emerges from a bacta tank. I used the image from the previous picture with his armor still on, which isn't practical, but I was going for the idea of a physically damaged Anakin being treated in the chamber of liquid. 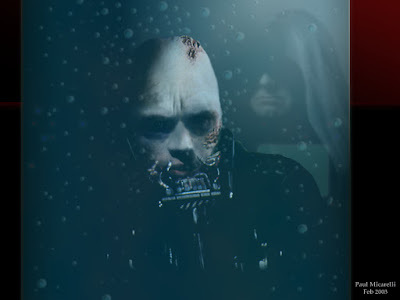 The reflection of Emperor Palpatine observing the state of his apprentice can be seen in the glass. On Reddit I saw this animated GIF of a piece of wood being burnt using an electrical current. In finding it's way through the wood, the electrical energy forms a fractal pattern that burns into the surface. 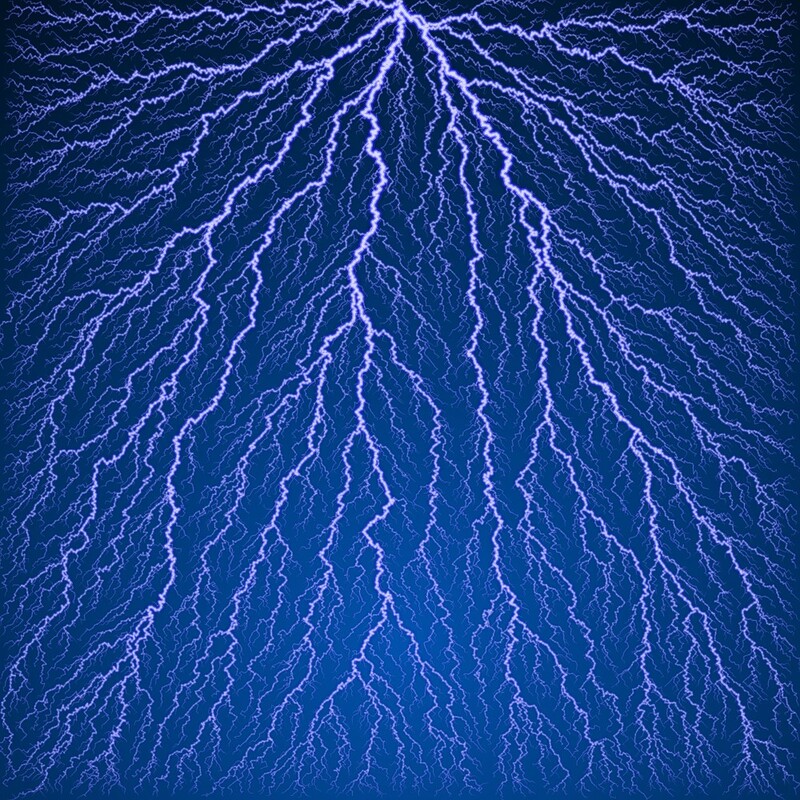 This is an example of a Lichtenberg figure, typified by the fractal-like branching. The resemblance to the shape of trees gives insight into the influence of energy on the appearance of form. The pathways are trying to connect to the opposite pole. 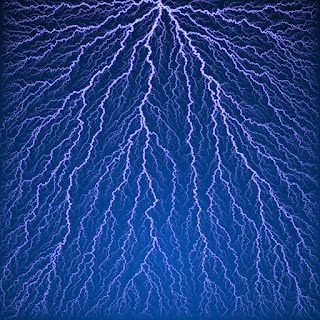 In the same way, energy pathways that make up he shape of trees, and all energetic systems, are configured by the imperative to transfer energy as efficiently as possible and connect interactively with the environment.